We welcome the submission of content for our Website. Eligibility for membership in this Society is based upon lineal descent from one or more of the Knights of the Garter. For more information link. We encourage interest and welcome new members. If you are qualified, we encourage you to complete the lineage forms and submit them to the Society along with either a proposal from a member or your cv or resume. Please be sure to include your references and documentation, with copies, to establish your qualifications. Normally candidates for membership are proposed for membership by other members. Considering that many outstanding candidates may not know a member but be committed to the purposes and mission of our Society and who share our interest in the origin of our constitutional liberty and in genealogy, we have adopted a procedure where a candidate could submit a cv or resume reflecting his or her interests and accomplishments. That information, along with the lineage information, will be considered by the Society. Active Members, other than Honorary Members, may suggest eligible friends for membership, and each Active Member, other than Honorary Members, may in writing designate a qualified associate as hereditary successor, thus making two baronial representatives at one time in the same family. (1) To perpetuate the memory of Edward III King of England, Sovereign and Founder of the Most Noble Order of the Garter the highest Order of Knighthood and of the exemplary men, chosen to be Knight Companions ancestors of the members of this Society. (a) The official colors of the Society shall be OR and AZURE displayed lengthwise on the ribbon, and appearing elsewhere on the insignia and printed matter as may be deemed appropriate. 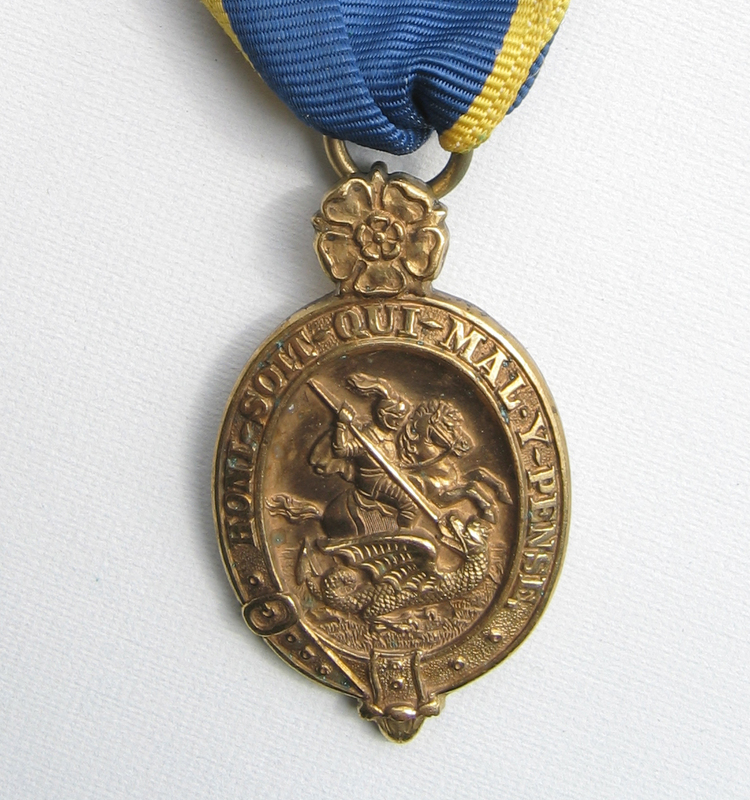 (b) The official insignia shall consist of a formal emblem, displaying in an oval topped by the Tudor Rose, all in gold, the Garter with emblem "Honi Soit Qui Mal y Pense" surrounding a representation of St. George slaying the dragon, and pendant from the Society's ribbon. (c) Standards and flags of the Corporation shall be such as may from time to time be authorized by the Chancellor and may employ any appropriate design.